RUSH: I mentioned earlier, ladies and gentlemen, CNN's trying to scare the hell out of people that airplanes are gonna start falling out of the sky. Here's how it happened. We're up to audio sound bite No. 7. CNN's Newsroom is the name of the show. 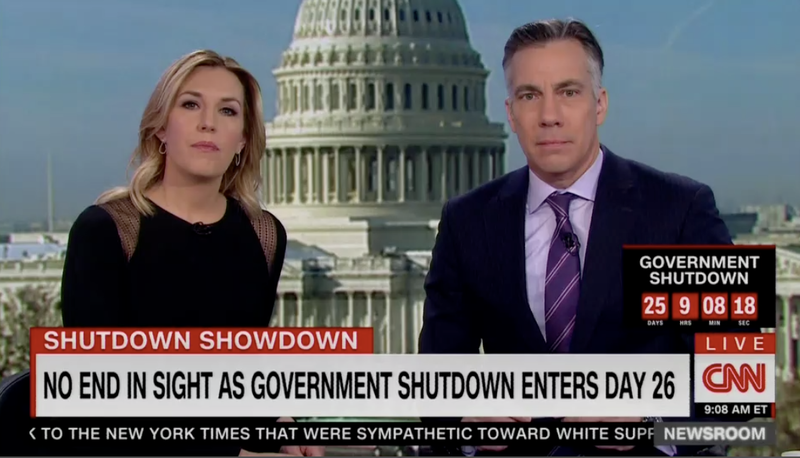 The host here is Jim Sciutto. Not to be confused with Jim Acosta. But, I mean, they probably share the same brain. They've got the National Air Traffic Controllers Association Executive Vice President Trish Gilbert on there. Question: "Is there any reason why people flying should be concerned that there's not enough man and womanpower to keep a plane safe as they are flying?" GILBERT: Each day that this shutdown continues, the situation gets worse and worse. Uhh, there are several complicated, complex layers in our system to assure that it maintains the critical safety components that we all rely on when we fly. What we don't want to see is a catastrophic event occur and for us to come to you and say, "We told you that controllers are working longer hours." Now they don't have their support staff! They're going to work unpaid, so they're not sleeping at night. They're looking for other jobs. Maybe they're driving Uber before or after their shift. This is unacceptable. RUSH: They're what? "hey're driving Uber before and after their shift. This is unacceptable." So, you see, it's not safe to fly the friendly skies of "Ignited." It's not safe out there. Air traffic controllers are having to drive Ubers and so forth in their spare time. I happen to think this is the height of irresponsibility, and I'm just gonna tell you point-blank: Donald Trump can win this if he hangs on. It's gonna be few more weeks. It's gonna be risky. But I actually, folks, really believe that if he hangs on and continues down this road, at some point there's gonna be a shift in public opinion and the vast majority of the American people are gonna end up with him on this -- if he hangs in there. He's got a good start. There's all kinds of really good, long overdue things happening that we've wanted to happen. Like 95% of the EPA furloughed? A lot of nonessential government workers on furlough? GILBERT: -- and we need to get out of it today. HARLOW: You said it all. You said flying is less safe now than it was a month ago! That is something every American and every member of Congress and in the White House should be thinking a lot about! 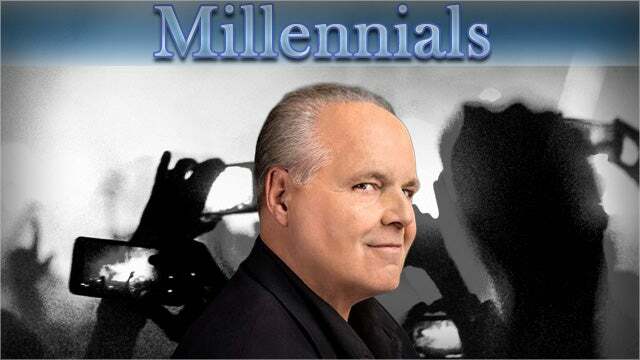 RUSH: I don't think a plane crash would upset these people, do you? I know it's a heck of a thing to say, but I don't know. This is... Trump was elected to interrupt. We have major disruption of all kinds of things that have not been good for the people of this country. It's a really great start. It's gonna be hard because this is the kind of stuff that's gonna be in the media over and over and over and over again: People dying, people having to choose between insulin and their mortgage, people running out of food, people running out of gas. The horror stories are gonna intensify, they're never gonna end, and largely most of them are gonna be exaggerated or made up. Pelosi here trying to cancel a State of the Union? That is one of the greatest opportunities that she has presented. She's gonna close the House chamber, tell Trump, "It's just not... We don't have enough security to do this. Let's come up with a different date when the shut down's over." Trump should just find an alternative place if she's not gonna host it, if the House is not gonna invite him and welcome him in. He can go do it anywhere he wants, and he can call it whatever he wants. But he can give the State of the Union, and he can do it with a friendly crowd rather than a bunch of freshman Democrats protesting and mooning him probably and hanging up a bunch of protest signs in the House chamber, shouting at him. Who needs any of that? RUSH: Ocean City, Maryland. Hey, Freddie. Great to have you with us, sir. How you doing? CALLER: Oh, Rush, it's an honor to be on the show. First-time caller. CALLER: Yeah. I just wanted to talk about the shutdown. I feel like they tried to put the onus on Trump right off the bat, but he got out so far ahead of them with that live event that he did with Chuck and Nancy that he put the onus on them. So once he put the onus on them their strategy became to put it on someone else, and that was naturally you and Ann Coulter. RUSH: A-ha. That’s an interesting thought process. You think that they're trying to blame or pawn the shutdown off on us to keep Chuck and Nancy out of it? CALLER: Absolutely, 'cause it's not sticking to Trump the way they want it to. So the public, who's not -- a lot of the public isn't very informed about these things. They probably don't even -- a lot of them don't even know who Chuck and Nancy are. All they hear is Chuck and Nancy, Chuck and Nancy. Now all they hear is Rush and Ann Coulter, Rush and Ann Coulter. RUSH: Now, wait a second. Wait a minute. Explain something to me seriously now. How can so many more people know Rush Limbaugh and Ann Coulter, Rush Limbaugh, Rush Limbaugh, whatever, and not know Chuck and Nancy? CALLER: It's like they're hidden in a shroud of protection. Like I try to talk to people all the time. I'm 29. So I'm a Millennial. And I gotta tell you, a lot of the stuff you say about Millennials, it makes me laugh 'cause a lot of it's true. RUSH: I know! I wouldn't say it otherwise. I’m trying to find -- I don't know if I had this yesterday or the day before. There was some polling data on this that was mixed at best. Yeah, here we go! There's a Pew Center for the People and the Press poll out there that says Trump is losing his shirt polling-wise on this shutdown, that a vast majority of the American people are blaming Trump for it. And I don't believe that for a minute because the Democrats are not acting like they're winning this, and Chuck Schumer's little speech about me on the Senate floor today is evidence. Chuck Schumer knows people voted for a wall. He knows the majority of people want a wall, and he let that slip. But here. I have a story here. 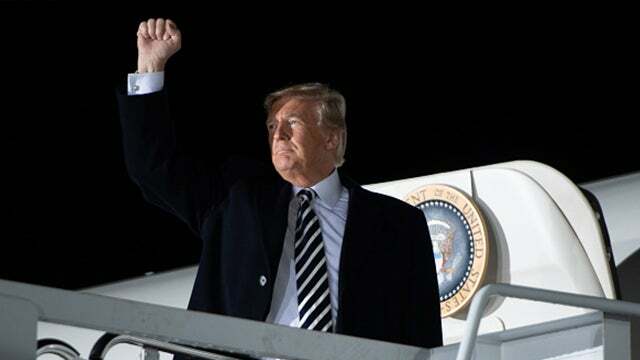 This is from the Washington Examiner: “Support for President Trump's wall along the U.S.-Mexico border is at an all-time high weeks into a partial government shutdown. According to the results of an ABC News and Washington Post poll released Sunday morning, 42 percent of Americans support a wall." Now, you may be saying, "Wait a minute, Rush, 42%, that's not much." That's up from 34% a few months ago. The previous high in this poll of Americans supporting the wall was 37% in 2017. Now it's at 42%. And any of these people in politics will tell you that more than the final result of any poll will be the trend. That's what's either encouraging or discouraging. And for the left this is discouraging, that the number of people supporting a wall is continuing to increase, and that's for one reason, me and Ann Coulter. No. It's for one reason: Donald Trump. And so all of this scuttlebutt that you're hearing, the American people massively opposed to the wall, it isn't true. More and more people are supporting it. Now, it says here 54% of Americans polled -- this is ABC News/Washington Post – “still oppose building a border wall. However, that opposition is shrinking.” It was 63% a year ago. And there's also polling data. People don't think $5 billion is anywhere near an amount of money to not do something when talking about the federal budget. Look. This is why my riff today is that Trump can win this and he can turn this around. He can turn this into a big win, but he's gonna have to hold on for a few more weeks. We're gonna have to endure all of the scare scenarios, airplanes falling out of the sky, people dying from insulin shock or lack of insulin, people being run over by driverless cars, whatever they come up with, and it's gonna intensify. We've got to hold fast on this and understand that it's like most everything else in the media, agenda-driven, the objective being anti-Trump. The last thing anybody on the left -- media, Pelosi, Schumer, you name it, the last thing any of them want and the last thing any of them can afford is Trump success. But he can turn this around. 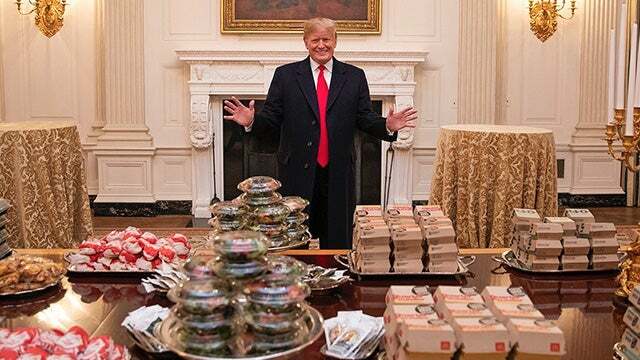 The fast food burgers at the White House for the Clemson football team, you would not believe, although you would probably, from all of these elitist, highfalutin places like the Atlantic and Vanity Fair, they're just so outraged and offended because it was typical Trump. Trump loves to show off his wealth. He’s so incorrigible, he’s so gauche, he’s so brutish, he violates all these societal norms showing off his wealth. What, showing off his wealth by buying thousands of hamburgers? What do you mean? “That's right. But he did it in the state dining room. He made it look like he made it all happen with the candelabra.” These people are beside themselves with this. Meanwhile, the star quarterback for the Clemson Tigers is out telling everybody what a great time it was. He's a real freshman. Cannot go to the NFL for three years. I don't know what his politics are if he even has any. He's a 19-year-old young man, but they all had the greatest time in there. And they love Trump. And this is just offending the so-called civilized sensitivities of all of these people. And Trump I don't think even has to stop and think about this. It's just instinct. These things come to him by instinct, how to win, how to rattle these people, how to force them into doing and saying things that make fools of themselves. But the bottom line, folks, we elected a disrupter. We elected somebody to turn that town upside down because the town has been distant, unconnected, unresponsive. You know the drill on all that. And this is exactly why Trump was elected. Every time he opens his mouth about this he's doubling down on it. There's a couple of Trump tweets today that indicate how dead on he is about this. Trevor Lawrence, the quarterback for Clemson. Where did I put the tweets? It's two tweets about the stats of how many walls there are around the world and how successfully they are. And this is what happens. By this time in the show I've got 15 different stacks and I don't remember where I put what in the stacks. And, by the way, it's not possible to digitize. Here it is. First tweet: “There are now 77 major or significant Walls built around the world, with 45 countries planning or building Walls. Over 800 miles of Walls have been built in Europe since only 2015. They have all been recognized as close to 100% successful. Stop the crime at our Southern Border!" So as Trump does, he's doubling down. And in the process, Trump is forcing these people out of the shadows, and they are demonstrating the vitriolic hatred that they harbor, not for him, but for us. There is a brilliant piece today written by Victor Davis Hanson at the Hoover Institution website. It's not at National Review. It's not American Greatness. Victor, among the many places he works, is the Hoover Institute, which is on the campus Stanford Palo Alto. And the Hoover website, Hoover.org, has this great -- it prints to six pages. I can’t read the whole thing to you. I'd love to, but I can't. It’s six pages. It's called “License to Hate.” And it quotes all of the hatred from all of these leftists, the hatred for you, the way they're insulting you. The way they insult the people that voted for Trump and how they get away with it, “License to Hate.” It's how the left has full exemptions from all the hate in the world. While they accuse us of being hatemongers, while they accuse us of all these horrible behavioral things, they actually engage in them. RUSH: This is Victor in Edgewater, New Jersey. Hey, Victor. Great to have you here. Hi. CALLER: Hey, Rush, 26 year mega dittos from New Jersey. CALLER: Yep. So my point is, in past speeches Chuck Schumer's given about advocating border barriers and border walls he never once said, 'But only if Mexico pays for it." So why does he care now? If he thinks it's right and he thinks it's needed, why does he care who pays for it? RUSH: Well, you're talking back in, like, 2010 and all that was Schumer was advocating paying for a wall and agreeing to $54 billion for one? RUSH: Is that what you mean? RUSH: Well, the only reason he's talking about Mexico now is because he's trying to convince people that Trump said the wall was gonna be paid for by Mexico. Schumer is actually... Here. Let's grab the sound bite again. It's No. 1. Here, listen. This is Chuck Schumer on the floor of the U.S. Senate, and it's just this morning. SCHUMER: Why is our country suffering self-inflicted damage? Because President Trump is using the American government as leverage in an attempt to extract taxpayer money for a border wall he promised Mexico would pay for. SCHUMER: You know, I hear Rush Limbaugh. "He promised this in the campaign." No, he didn't. He promised a wall that Mexico would pay for. He never said once, that I can recall, in the campaign, "But if Mexico doesn't pay for it, we'll pay for it." Of course, people voted for it! (pause) Or some. (pause) Not that many. RUSH: See? He caught himself. He stepped in it so big at the end. "Of course, people voted for it," meaning: It's the epitome of common sense to stop illegal immigration. "Of course, people voted for it." Schumer knows the drill. He knows why people voted for Trump. This is manufactured, that Trump's promise was exclusive with Mexico paying for it. Trump never said that! He added that Mexico's gonna pay for the wall just like he said, "Hey, Russia, maybe you can find the missing Hillary emails. There's 30,000 of 'em out there. Maybe if you can find 'em, give 'em to the U.S. media. They really seem eager to find them. Ha-ha." There isn't a Trump voter out there who believes the wall was only going to be built if Mexico paid for it. That is a purposeful misrepresentation. It's... (groans) It's so weak. It is so flimsy trying to undermine Trump's honesty by saying, "He didn't promise to build a wall. He promised a wall that Mexico would pay for." He promised a wall, and he told voters that Mexico would pay for it one way or the other! But I'll tell you this: The people that voted for Trump because he's gonna build a wall don't care if Mexico pays for it! That's not the point! But that's all the Democrats have. That's the only thing they can use to try to poke holes in what Trump said. But I'll guaran-damn-tee, every Trump voter voted for a wall because they want to stop the rule of law being violated so openly and wantonly. Not just by illegal immigration, but by sanctuary cities and all the rest of this garbage that is corrupting our culture every day and getting worse. They want it stopped. Part and parcel of stopping it is stopping the flow of illegal immigrants into the country, which the Democrats want. Trump said, "I'm gonna build a wall to stop it." They said, "Build the wall." It doesn't matter who pays for it. There's a GoFundMe campaign right now to pay for it. 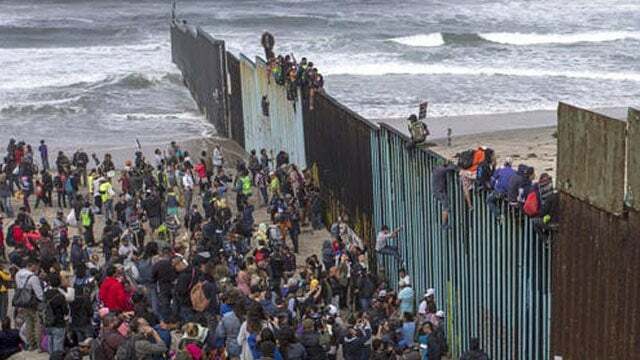 The people don't care that Mexico pays for this. This is one of the gigantic total misrepresentations by Schumer because they're losing this. They're the ones that are shutting down the country. They're the ones that won't come up with $5 billion when they previously authorized $54 billion for it. They're the ones who will not come up with one smidgen of 1/10 of 1% of the federal budget to shore up the border regardless how it's done. They don't want it to happen. They do not want Donald Trump to have a political victory whatever that may mean for the country. But if Schumer and the rest of these clowns are produced now to saying, "Trump lied! He said Mexico was gonna pay for it," then they are running out of ammo. Do not doubt me. Who's next? John, Galveston, Texas. Great to have you on the program, sir. Hi. CALLER: Hey, thanks, Rush. I'm a first time caller. I wanted to bring up the money that comes in through the border. I worked at RJD Correctional Facility, and I knew a couple of the Border Patrol agents that work there. They took some pictures of some of the places they had drugs and money. I mean, it looked like pallets full, kind of like the pallets that went to Iran. That much. But pallets and pallets. When he went down there, I hope he talked with those people. RUSH: Let me ask you a quick question here. Let me ask you a quick pregunta, John, because we're running out of time. Are you...? I don't know if you're suggesting. Are you asking whether or not the Democrats are being paid off by these traffickers and stuff? RUSH: (sigh) Look, I have no clue. You're in the Houston Police Department, did you say? RUSH: Harris County. Well, look. (chuckles) You would be closer to that than I am. I just would say in response that I don't think anybody has to pay 'em a penny to get 'em to keep the border open. I think they'd do it if nobody were giving them a dime. They would do it because that's their future! Voter registration among illegals and eventually illegals voting? That's their permanent underclass continuing to cross every day. I think they're not... They may be paid off, I don't know. But I'm telling you: They would do all this for nothing, in terms of money, simply because of what they think it does in guaranteeing their future. RUSH: Here's Fred in Denver. Welcome. Great to have you here, sir. How are you? CALLER: They can then be given a pink slip with 60 days' notice. "Your job is now terminated, regardless of performance or merit." RUSH: Ah, ah, ah, ah, ah, ah, ah, ah, ah! Zip it! It's enough for you to know that I know what you're talking about, and I'm just gonna tell you you're right, but we're not going to talk about it. Just be patient for a few more days. It's why I have been encouraging the president to hang in there. He can win this! It's gonna take a few more weeks, and it's gonna be rocky and bumpy, but he can win this, and he turn this into a huge win at the same time. I'm sorry to be rude here, but what he was talking about, I don't want anybody that doesn't know this to know it. I don't want cable news talking about. I don't want panels assembled. I don't want any of this crap. It's not crap. It's actually... I'm not gonna say any more. But, Fred, I'm sorry. I don't mean to be rude or any of that. I just... I've had this here for a couple of days, and I'm not gonna use it until it's safe to mention it. RUSH: Here's Tom in Buckley, Washington. Great to have you with us, sir. Hi. CALLER: Thanks, Rush. Good to talk to you. RUSH: Thank you, sir. What's up? What's shakin'? CALLER: I was calling, Rush, because I would like to see if it's possible for the people using the immigration coming here to work to pay for the wall. One way to do that is increase visa fees from say $200 for 90 days. If you have a million out there, making $4 million people a year, you're looking at about $80 million in revenue available, not out of the Americans' pockets but out of the pockets of the people that benefit from the program. RUSH: Yeah. I understand that. I'll tell you where I think the president is on this. A lot of people are curious why he doesn't just declare the state of emergency under the state of emergencies act of 2006 or whatever and just go get the money from various federal departments like the Pentagon and start building the sucker. I think it's because the president wants this to come from legislation. That will be a victory. He wants this to come from Democrats compromising and agreeing to the premise. That's a long shot. I don't know what leverage he's gonna have for them to do it, but that's why he's not going some of these other alternative funding routes. And I think that is great as well. Staring them down. It would be a simple matter to declare this an emergency and get started. It'd be a simple matter to go, like you say, to raise the $5 billion. We could get the from a rounding error in the budget. Coming up with $5 billion is literally the definition of chump change. He could have done that 15 days ago. Do you realize the federal budget is so massive that an error of $5 billion even if caught would not even cause a revision to be rewritten? It's not big enough! That's what's the real joke about this. Schumer and the Democrats and these clowns authorized $54 billion or $56 billion for a wall as recently as eight years ago. The money is not the issue, and where it comes from is not the issue. The issue is that Trump wants this as a standard operating win, the result of compromise between the legislative and executive branches. Because that means it's happened under the terms of Constitution and theoretically is happening because of the will of the people and the way they have voted and so forth. I don't know if that's gonna be how this ends, but I know that's one of the objectives.